Water human right treaty » Water is a right – not a business! 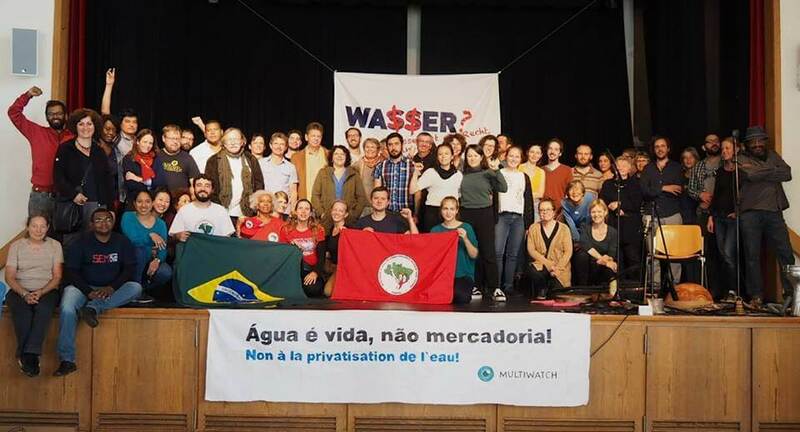 On October 19 and 20, 2018, representatives of social movements, NGOs, trade unions and church grassroots organizations as well as many interested individuals met in Bern and intensively discussed water-grabbing. By water-grabbing we mean the appropriation and control of water by powerful actors. With international guests, the knowledge and experience of the exploitation mechanisms obtained by resistance movements and struggles experienced have been shared. A common space of solidarity emerged from the conviction that the fight to defend water as a human right is a common one in which we mutually support one another.